Croydon Public School is located in a well-established residential area in Sydney’s inner west, catering for 685 students. It’s a diverse school, with 64% of students coming from culturally and linguistically diverse backgrounds. The school strives to foster an inclusive, vibrant learning community, focused on meeting the needs of every student and makes a range of learning technology available including desktops, iPads, Chromebooks and robotics equipment. Teachers at Croydon Public School were looking for a program that would promote literacy learning in school and at home, in a way that’s engaging and interactive for the students. The program had to be comprehensive, engaging and data-backed with a proven track record of delivering results for students of different ages, levels and needs. 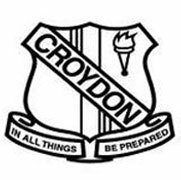 Croydon Public School was looking for a literacy learning program that is user-friendly for students and teachers. The program had to be aligned with the Australian curriculum, easily individualised and possessing content that covers all key literacy skills, while ideally utilising the latest digital technology at home and in the classroom. This is what made LiteracyPlanet the perfect fit for the school. Croydon Public School is using the program in a variety of ways to support the school’s literacy program. Teachers are able to allocate activities for each student, tailored to their individual needs. The school is making full use of the program’s components, especially reading and spelling. Teachers at Croydon Public School find the teaching content and lesson plans beneficial and enjoy the ability to produce quick examples when needed. The ability to assess and monitor the progress of students undertaking the program has also been beneficial and driven positive results in classrooms across the school. Teachers have noticed a substantial improvement in literacy learning outcomes, with LiteracyPlanet’s fun, interactive nature driving increased engagement in homework. Students have also responded positively to the variety of levelled activities and the individualised nature of the program. Croydon Public School has recorded positive outcomes through the use of LiteracyPlanet, particularly when it comes to student’s engagement with homework. Teachers found engagement has improved substantially, with students motivated and engaged by the assigned tasks so parents don’t have to be on top of them. Students across grades and literacy levels have responded positively to the program, including Year 6 student Felicity who says, “It’s all organised and when you finish your planned activities you can reward yourself with the bonus activities. A program to promote literacy learning in school and at home, in a way that’s engaging and interactive. The teachers enjoy the interactive nature of the program, the abundance of activities and the ability to access student results and activity easily and efficiently.